View Cart “The 50 Greatest Tigers Every Fan Should Know” has been added to your cart. SKU: BD70784. Categories: History, Sports & Recreation, Baseball. Tags: baseball, baseball players, history, Indians. Quotes from opposing players and former teammates are provided along the way, as are summaries of each player s greatest season, most memorable performances, and most notable achievements. Do you remember why Shoeless Joe Jackson got that name? What started the Indians curse? What were they before they were the Indians? These questions and more are answered inside The 50 Greatest Players in Cleveland Indians History. All the great Indians are here, from Tris Speaker to Bob Feller, to Kenny Lofton, to Jim Thome, to Corey Kluber. 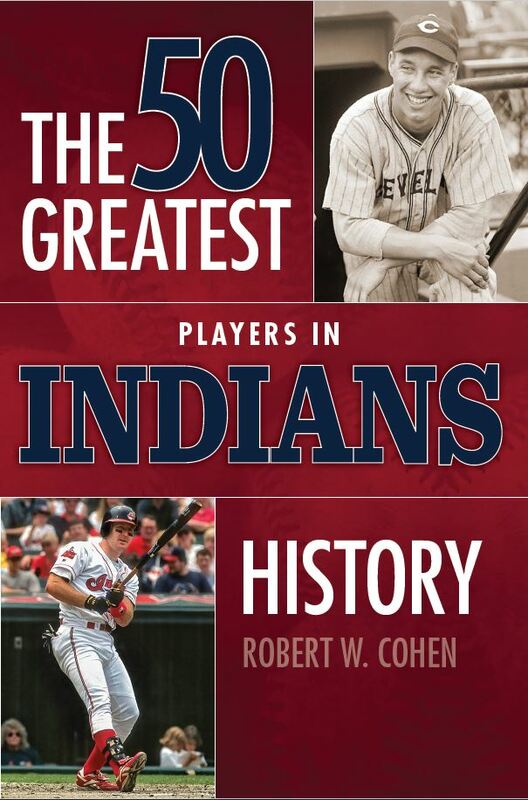 Robert W. Cohen ranks the best of the best in The 50 Greatest Players in Indians History. Robert W. Cohen was born in the Bronx, New York in 1956. His first published work, A Team For The Ages: Baseball’s All-Time All-Star Team clearly reflects his great love of the game of baseball, and also his vast knowledge of the sport. A sports historian, Robert has appeared on numerous sports-talk radio programs around the nation to discuss his previously published works. Robert’s June 2009 release entitled Baseball’s Hall of Fame – Or Hall of Shame? is the most comprehensive book ever written on the Baseball Hall of Fame. His next work, MVP, which provides an in-depth look at baseball’s Most Valuable Player Award, was released in August 2010. Robert later assumed the position of Content Manager, Editor, and Contributing Writer at TheBaseballPage.com. He has since had eight other books published. Robert currently lives in Clifton, New Jersey.